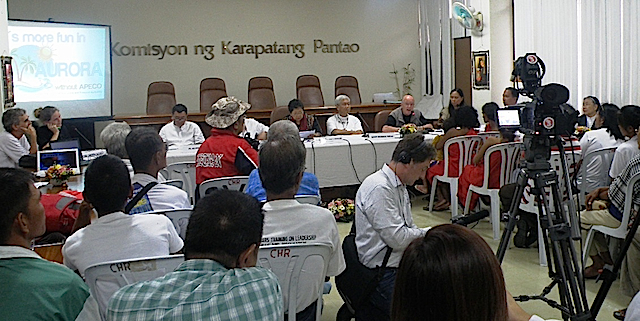 Armed Forces of the Philippines (AFP) Chief of Staff General Gregorio Catapang and journalists listened to the head of Philippines troops tell via video conference their story of how they escaped from Syrian rebels who tried to seize their firearms at their post in Position 68, the Golan Heights, and possibly hold them hostage. Read the inside story of what Catapang has called the “great escape” from Golan of troops led by Captain Nilo Ramones. In a message Catapang read to the troops, who he described as “warrior peacekeepers”, the AFP chief thanked the United Nations, governments of Israel and Syria and “God almighty” for their role in keeping the troops safe during the crisis. At the onset, let me say w are proud of your service to global peace. As the eyes of the world and the Philippines were focused on what happening to our Philippine contingent in Golan Heights you have shown to the world and the Filipino people that you can hold on to your sworn duties to maintain the peace in Golan Heights and pursue your mandate – peace amidst adversary. It was never easy but the calming courage and resolve you have displayed was undeniably world class and this will be forever remembered. 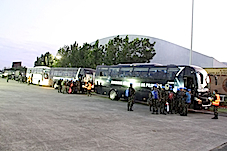 Under the guidance and concern of our commander-in-chief along with the Secretary of National Defense and Secretary of Foreign Affairs, the AFP ventured to collectively do everything possible to bring all of you to safety. With the United Nations at the forefront we also thank the host nations, Israel and Syria, for your support and unwavering commitment during that critical period of the crisis. Certainly the spirit of global “bayanihan” in the itnernational front was working. Most of all we thank God almight for the successful effort to bring all of you out of harms way. I commend all of the Filipino warrior peacekeepers of the 7th Philippines contingent to Golan Heights for showing to the world what we are made of and for showing them what we can do in the service of peace. We watched as you stood your ground against groups that seek to destroy the peace in this world. Indeed you have shown so much competence and professionalism during this crisis. I join the Filipino nation, the Armed Forces of the Philippines and your respective families in congratulating all of you for a job well done. Mabuhay kayoing lahat! Mabuhay ang Armed Forces of the Philippines! You are a source of national pride. Aas your Chief of Staff, I salute you all! Photojournalist James Wright Foley who the US government confirmed has been executed by Islamic State captors had reportedly said his faith and praying the Rosary during captivity made him feel close to God and his family. 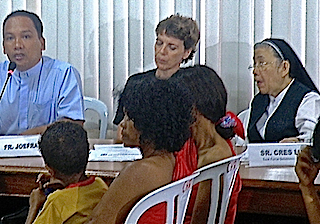 Stories about how their Catholic faith and the Rosary carried him and his family through agonizing days of his captivity spread after the the National Security Council announced on Aug. 19 that the U.S. intelligence community judged as authentic, a gruesome video of Foley’s beheading released Tuesday on social media by the Islamic State movement. Read full text of the pope’s address to South Korean authorities on Aug. 14, after he celebrated a private Mass at the apostolic nunciature of Korea and made a courtesy visit to President Park Geun-hye of the Republic of Korea. North Korea, hours before the pope arrived in Korea, reportedly fired three short-range rockets into waters off the country’s east coast leading journalists to connect the missile firing to either a visit by Pope Francis or upcoming U.S.-South Korean military exercises. Seoul’s cathedral is a 19th-century Gothic structure that seats an estimated 1,000. It sits on top of a small hill, one of the many in the capital city of South Korea. The cathedral, known locally as the Myeong-dong Cathedral, was the first parish in Korea. National Catholic Reporter’s Tom Fox gives a feel of the cathedral and grounds as Korean Catholics await Pope Francis’ arrival. Korea’s Arirang News in this video reports on the last leg of preparations for the visit.